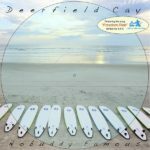 Who are Jacob Daniels & The Rounds? 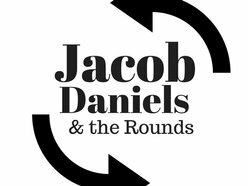 Jacob Daniels & the Rounds is a new band that has emerged from the Edison area. Well, not that new. Jacob Daniels and Dan Neary are the brains behind the band and have been playing together for over 10 years. This band is their latest collaboration. Jake, the lead vocalist and acoustic guitarist, and Dan who plays electric guitar as well as background vocals. The pair also perform in the Jake & Dan duo and trio. Dan is also in the popular cover band Event Horizon. Well, that’s enough of that. Let’s get on with the MusicXplorer interview and see what these guys are up to with the new album that is in the works. 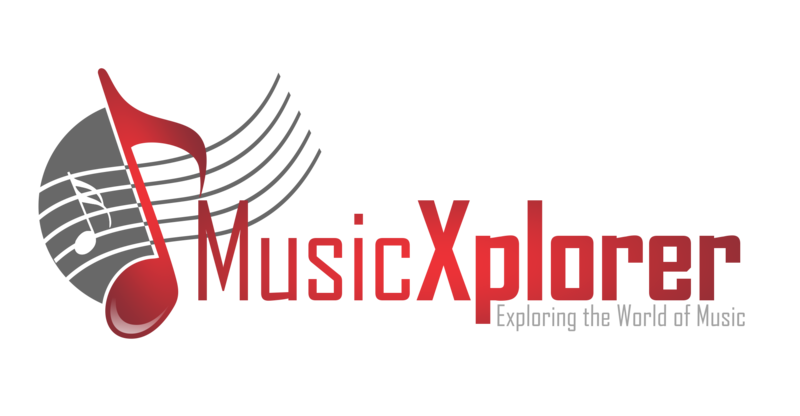 MUSICXPLORER — Let’s get some history on you guys. How did you meet, and how long have you been playing together? Dan — We met in 2007 while we were working at the Middlesex County College at the college book store. We went to from the same high school but didn’t hang out with each other. Jake — Yeah, and Dan looked like a Bill or a Ted type from the Bill and Ted’s Excellent Adventure movies. When and how did you start making music and collaborating? Dan — I started playing at a young age and had a band in high school. We played the talent show, and I have had my band, Derailer since 2008. Jake — I started playing prior to 2008 making my own music, but I was doing it in my basement and was too scared to go out and play. I didn’t think I was good enough to play out. Jake — We started talking about music at the book store and I told Dan that I had written songs on my acoustic, so we got together and I showed them to him. How did your playing styles work out? They are a bit different, especially with Dan doing electric. Jake — I have a Richie Havens playing style. He is definitely a main influence for me, and I even got to meet him and gave him a CD of my music. That’s so cool for people to get a chance to meet their inspiration!! So Dan, how about your style and influences? Dan — I have a metal, 70’s and 80s style. My influences are a mix of Stevie Ray Vaughan, Eddie Van Halen, and Slash. So, how did you guys make it gel? Dan — We tried figuring out how our two styles would work together, and it sort of balanced itself out after trial and error. Once we got this figured out, we started doing the open mic thing as a duo around 2008. Jake — It took a few years for us playing the open mics to get it down right and for us to harmonize. By 2012 we felt good enough to really start playing out at regular gigs. 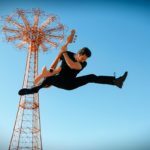 How did Jacob Daniels & the Rounds come about and who is Jacob Daniels? Jake — A name like Jacob Schneck doesn’t sound too cool for a band name. Daniel is my middle name and it sounded a lot better. Jack Daniels is my favorite drink, so it just fit. Dan is the one that did the push for us to do the album. If it weren’t for him, quite honestly, we wouldn’t be here right now. Dan — Aw man, that’s so nice. Have you guys been in the studio before or is this your first time making an album? Jake — I’ve never recorded in the studio before, but I did a video a few years ago for my song “All Gone Away” but I really don’t know anything about the musical equipment side, the PA, and stuff. I have no clue how that works. Dan — I was asked by Roy Brunston to come and try out for his Audio Empire band and they seemed like a great group of guys, so we went into the studio to record the debut album with Joe DeMaio at Shorefire Studios in Red Bank. I gained a lot of knowledge from that experience. Since I had no idea how to make a record, I pushed Jake to make an album. Jake had so many great songs that were not professionally recorded, so I flat out told him he really needed to make one. It was overdue. Tell us about the album. Who are the musicians on it and when you hope to release it. Jake — Right now we have 10 years of songs that we are picking through and we are also writing new ones. We are recording at HiVoltage Studios in Long Branch with Tony Lewis. We also have Kevin Krueger on bass and Andy Herschman on drums. We have been playing with these two guys for some years now when we needed drums and bass for the four-piece band. During the recording, I give the band the freedom to be creative. We hope to have the EP out by early 2019. We’ve heard you play the song “Little Bird” with the duo. That’s an original, right? What’s that song all about? Jake — That’s my favorite song! It’s about Twitter, social media, Facebook, etc., and how relationships never really go away. Unlike the old days, when a relationship was done, it was done and you never saw that person again. But with social media today, people are always visible. Thanks Dan and Jake for spending time with us. We look forward to the release of the album, and will catch up with you guys after it’s debut. As we wait for the album to come out, check out some videos below and links to their sites.